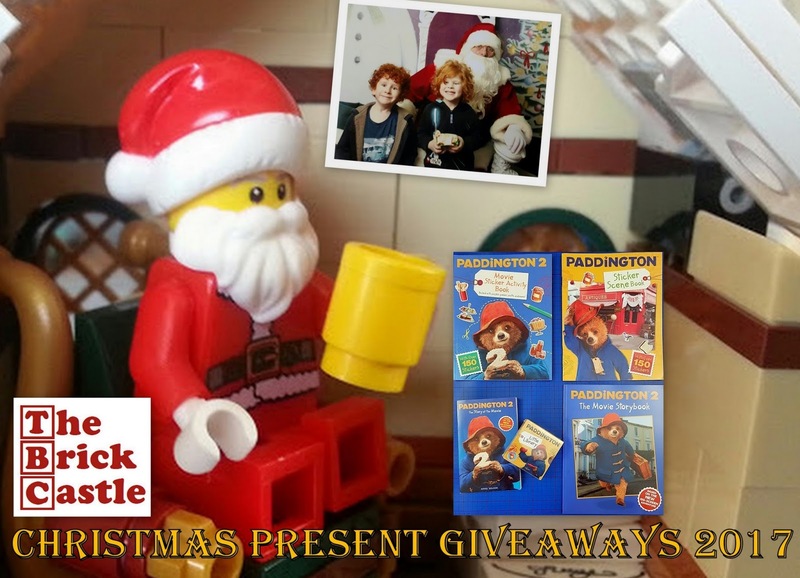 The Brick Castle: Paddington 2 Book Bundle Christmas Present Giveaway (2 Winners). 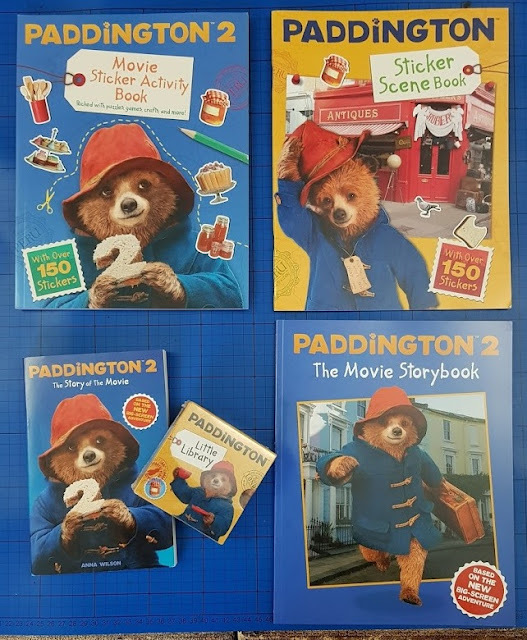 Paddington 2 Book Bundle Christmas Present Giveaway (2 Winners). 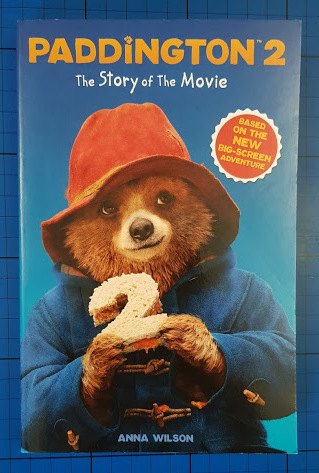 Paddington Bear has been around for almost 60 years now. As a child I watched him on TV and read the books, I even had a well-used jigsaw puzzle. 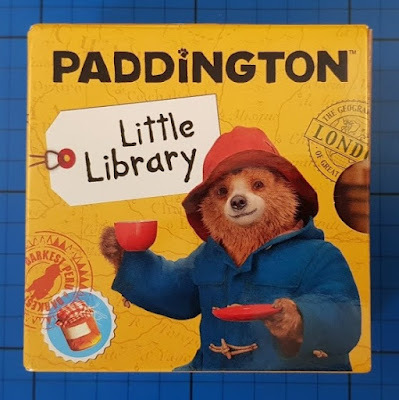 The lovable little lost bear from Peru has stood the test of time and I think most children have at some point wished they could be like the Brown family and bring their own bear home. 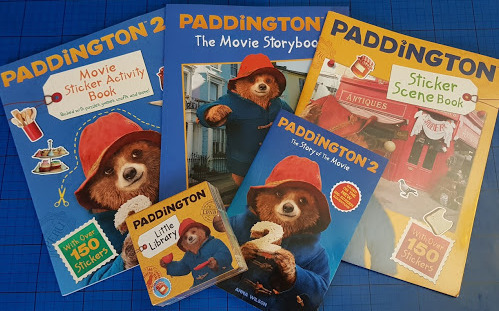 The bundle contains 5 different products from the Harper Collins Paddington Range, suitable for children from tiny tots to around 11. 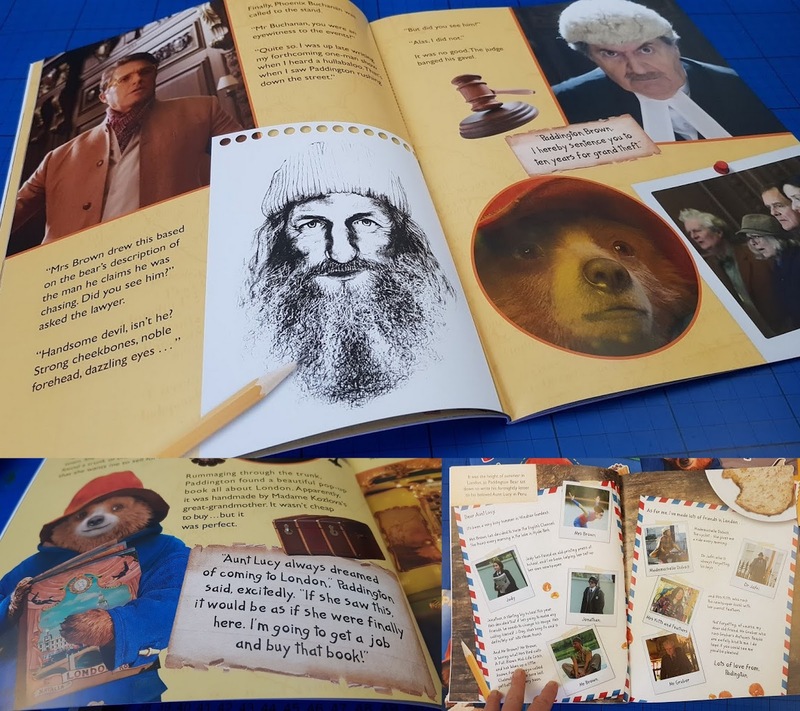 Paddington 2 The Movie Storybook (£6.99rrp) is an A4 format 48 page book retelling the movie and it has some great photos from the film. A lovely book for looking at together or for independent reading age around 6+. Paddington Sticker Scene Book (£4.99rrp) has over 150 stickers. 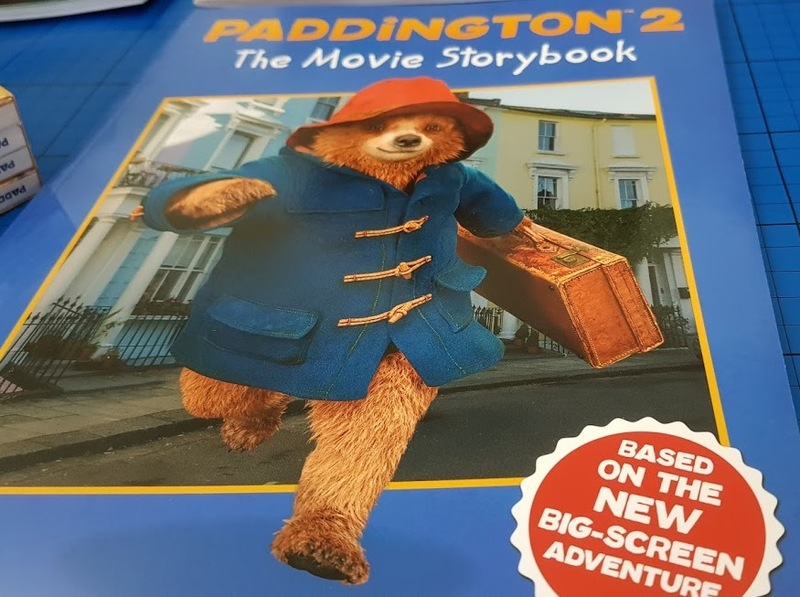 There are 24 pages plus 6 pages full of stickers. 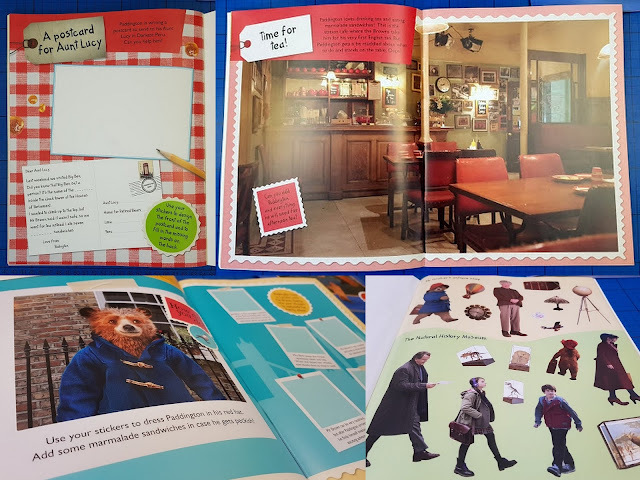 AllEach page has a background and you add the foreground action, including the characters - just like the original Paddington Bear illustrations and animation. 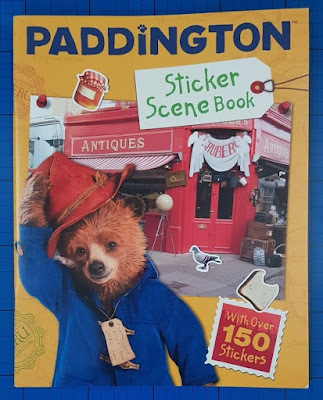 Best suited to age around 4-9 or any child who loves stickers. 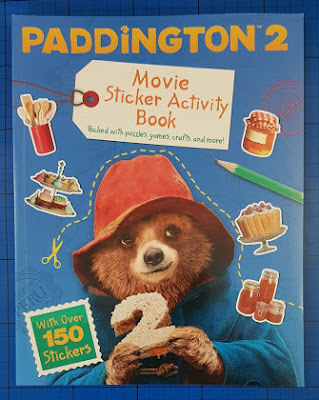 Paddington 2 Movie Sticker Activity Book (£7.99rrp) is a really big activity book with tons to do. 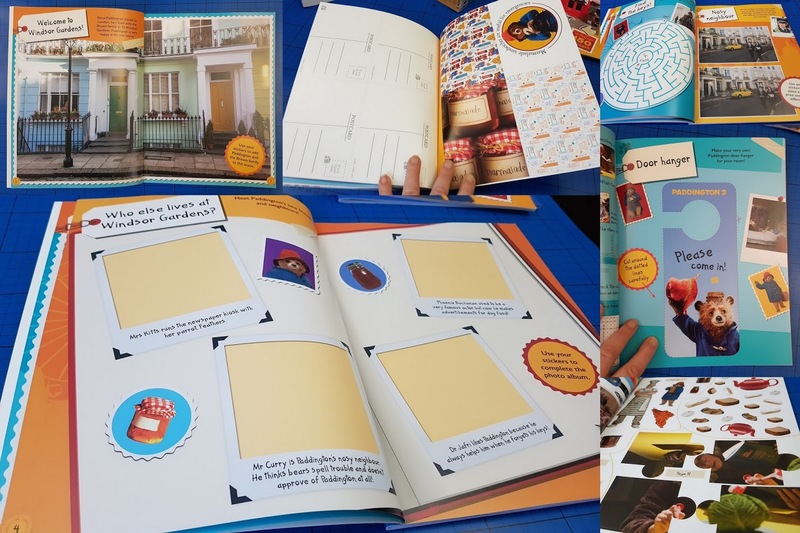 It has over 150 stickers and 48 really full pages, including loads of puzzles and several card pages at the back - with cut out game counters for the two games in the book, a door hanger and 8 postcards. This book will have something to entertain almost any child aged around 4 - 11. Paddington 2 The Story Of The Movie (£5.99rrp) by Anna Wilson is the young fiction novel of the film. It has slightly large and very clear text, but some tricky words and no illustrations. At 202 pages this is a great early chapter book for an independent reader aged around 7+, or for reading together at bedtime. Paddington Little Library (£4.99rrp). Four bright little board books in a slipcase - Paddington's Manners, Paddington Gets Dressed, Paddington Loves London and Paddington Meet The Family. My children adored these sets when they were small and carried them around in the pushchair wherever we went. 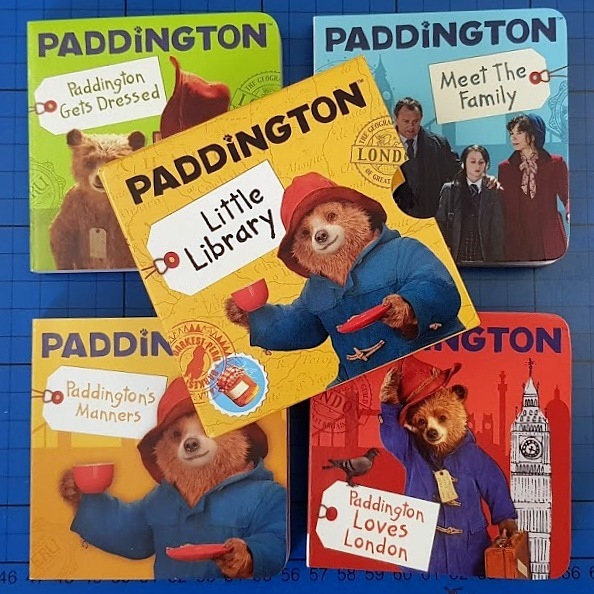 They're perfect for little ones and encourage a love of reading from day 1 - just expect a few teethmarks at first. You can find the entire collection of Paddington Bear Books from Harper Collins on the official Paddington Bear website. 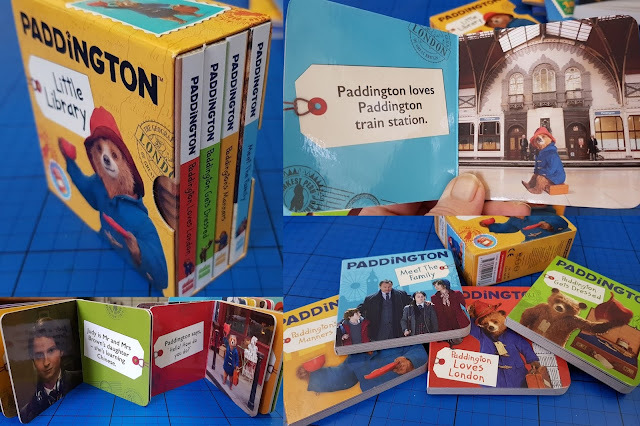 The Pop Up Book and Suitcase Book Set especially make excellent gifts, and activity books are a perfect addition to a stocking. Harper Collins have kindly offered 2 of my readers a bundle of the books shown above each for themselves. Both winners will win the entire bundle worth over £30rrp. Entry to the giveaway is by Gleam form below. It's open to UK entrants only and will end at midnight Sunday 10th December for Christmas delivery. Full terms and conditions are at the bottom of the Gleam form. We were sent our books for review and photographs and paid for some of the time it'll take to administer this giveaway. I once lost my phone at King's Cross station but luckily it was handed in. Thankfully I have only lost an umbrella at a train station! Years ago when I was a teenager, I found someone's bag at Victoria Station. I think they'd been out drinking and just left it there. I was concerned about handing it in because was doubtful it would be returned. I found her driving licence with her address on it and wrote to her. I ended up posting it back to her and she sent me a lovely thank you gift. Many, many umbrellas lost on public transport, and none found! I once left Baby Jesus on a bus. Seriously! We were doing some improvisation in Drama GCSE in my school Sixth Form and our theme was the Nativity. As my little brother was only six I was the only one who had a doll at home and I brought one in for our class. I left the bag containing the doll on my school bus and we didn't get him back. I haven't lost anything on a station (yet). Can't recall that I've ever lost or found anything at a station. We found a handbag left on the train from Leeds to London. 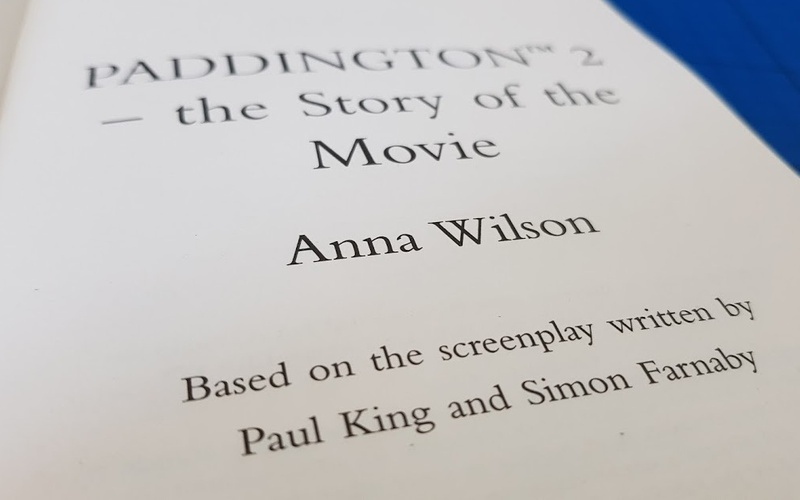 We handed it in to staff at kings cross station. I really hope the owner got it back. Thanks for the lovely giveaway my daughter absolutely loves Paddington Bear! Nothing, we don't really use public transport - it's no good where we are - one bus every other hour if you're lucky enough for them to turn up! I once found a copy of Tom’s Midnight Garden at Doncaster station. I read it and then left it on Leicester station. Great way of recycling books. I left my bag on the train once - I had to change at Bristol and I didn't notice until I got to Birmingham! Luckily my bag went to Cardiff where it was handed in to lost property by the train staff, I had an unexpected trip to Cardiff the next day to pick it up! My wife once left her handbag on a train to Scarborough and got it back with everything still inside. I lost my purse at Stirling train station with sixty pound in it. Never got it back. I was gutted. Iv'e never lost anything but have found plenty of gloves and even a shoe! When I was on Jury Service it was near a bakers that did wonderful homemade cakes, every day I went past the bakers an made up my mind that on the last day I would get something. On the last day I went in an after much pondering (it was a very expensive bakers in the City of London) I bought a large slice of bread pudding. I had to get 3 buses and left my precious Bread pudding on the seat of the 2nd bus! I so far haven't lost anything on a train. Though I can recall on one train journey to London I met another passenger who had unfortunately lost luggage. Passenger had arrived intentionally early, as planned to have refreshments within station restaurant / bar prior to journey. Had noticed train at platform number said passenger knew London train departed from, thought great train early too and promptly put luggage onto that train. On leaving restaurant /bar:- Saw no train at platform, though then heard announcement that London train arriving at platform (where previous train had been). Luckily when passenger spoke to train guards man :- He said he would arrange for the luggage to be dropped off at a certain station, and he would personally retrieve it when we (London train) arrived at said station. Passenger and I could see funny side of passenger "Assumption " / error. Especially when train guards man was true to his word, by passenger being reunited with her luggage. I once found a lady's purse on a bus i decided to take it home and contact her as the stop she got off at was only a few before mine. She was so grateful to have purse back with the contents untouched. There was a phone left on the seat opposite us on the train and the young lad sat next to it handed it in to the guard. That's as exciting as it gets! Plenty of umbrellas, hats & gloves. I did find a credit card once, I called the company but was shocked how hard it was to get them to cancel it!! I lost my phone but sadly didn't get it handed in! My son lost his favourite teddy luckily he got it back a week later but he needed a good wash. I lost a phone on GWR and luckily it was handed in at Paddington station lost property, so I was reunited. Nothing at a station, but 1 Xmas left my bag with money, watches that I was getting altered. On the trolley but luckily it was returned. I've never lost anything on public transport, but I work for a taxi company, and we do get some weird and wonderful things handed in. It always amazes me when customers get a taxi from a supermarket and then forget their shopping!!! I left my rucksack when I was little on the train to the norfolk Coast- it had my blankie in it that i used to always have at bedtime - I cried for ages but when we got on the train to come home my mum went to the Lost and found office and there it was! someone kind had handed it in! I recently lost half a sausage roll on a bus, but I'm losing hope of ever seeing it again. I left my purse on a bus, sadly wasn't returned. I lost my passport at a train station in Rome. I ran around for an hour crying and looking for it and I'm certain I saw a nun praying for me. Only to find it in my handbag moments later!! My son left his teddy bear the bus back from Lincoln, luckily it stops two stops after ours then turns back round so we were able to flag it down as it came back round, phew. I seldom use public transport but many years ago worked on a few buses & have found lots of combs, small coins & once a gold chain under the seats, all were placed on the dash boards for the operator to deal with. Not me but my nephew left his school sports kit on a bus on his first day of high school. Turned up eventually at the bus station. We found a wallet once, and handed it into the police station. Unfortunately I never heard if it was returned to the owner. I lost a carrier bag full of birthday cards once, never got them back. Ohhhh I am not sure to be honest dont think I have lost anything well yet lol. I haven’t lost anything but one of my employees went and did a days site work in London and then left the file on the train. I lost a scarf on a bus once-didn't get it back. I've lost lots of pieces of homework on the train over the years! I lost my handbag with my mobile phone and purse in it once. I left my college assignment on the bus once. I had to hand it in that day too. My mum phoned the bus company and luckily someone had handed it in. I've lost my phone in a taxi...TWICE! Lol. Never seen either of them again. I found an umbrella once and handed it in! I don't think I've lost anything, I once found a fiver with my brother. I once left my bag at a bus stop. It was returned . Cabt say that ive ever found anything though . I found a wallet with lots of cash and annual merlin tickets. I handed it in so I hope it got back to the owner. Well walking past a Station many yrs ago hubby found a £1 note then another one,But could of beloved to anyone.A £1 was worth a lot more then.I personally haven't found anything by a station. I haven't lost or found anything! Never lost or found anything on public transport or at a station. The worst I did was leave my purse on the roof of my car & then drive off. A very nice man called the next day to say he'd stopped & picked up my purse & all my cards for me. I picked it all up from him later that day.